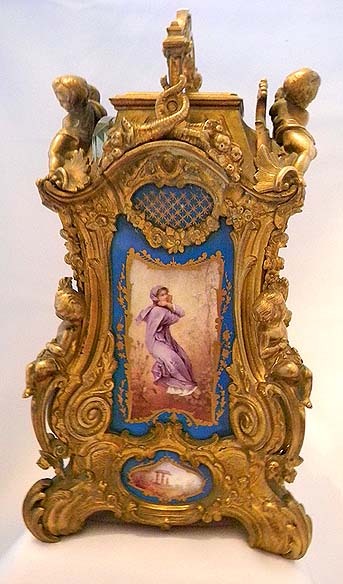 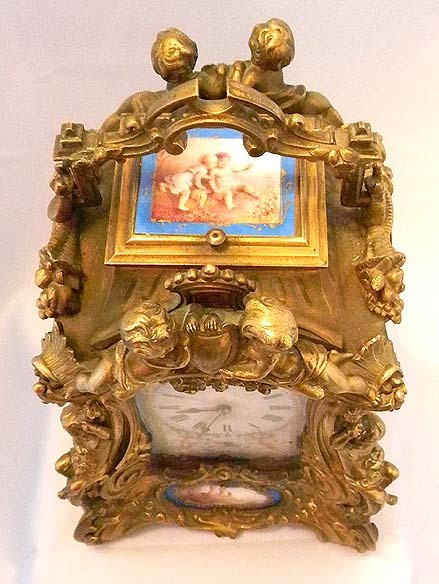 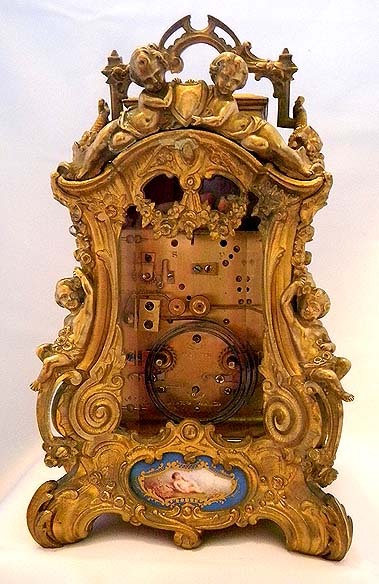 Very fine, scarce and beautiful French rococo gilt brass and painted porcelain time, strike, alarm and repeat carriage clock by Drocort circa 1890. 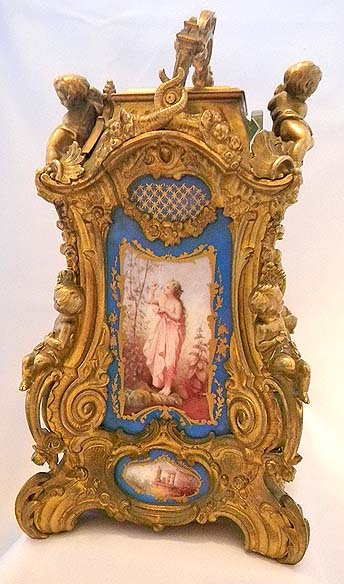 Elaborate faded gilt brass case decorated all over with architectural elements, foliage, and angels. 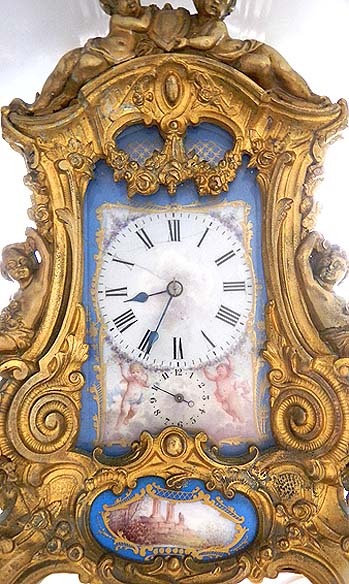 The dial (crack), sides and top with painted scenes within fancy gold borders against blue backgrounds. 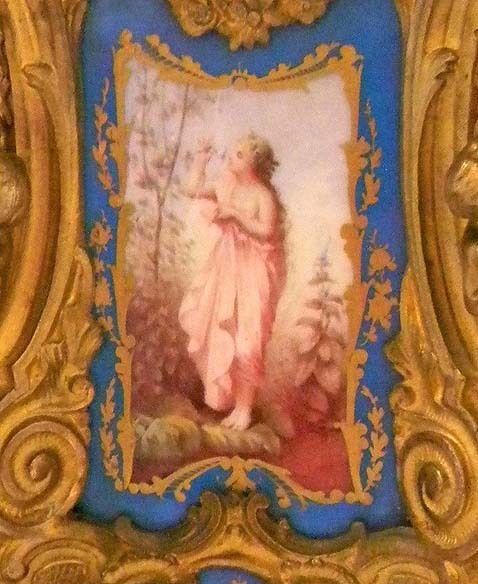 The sides are allegories of the seasons. 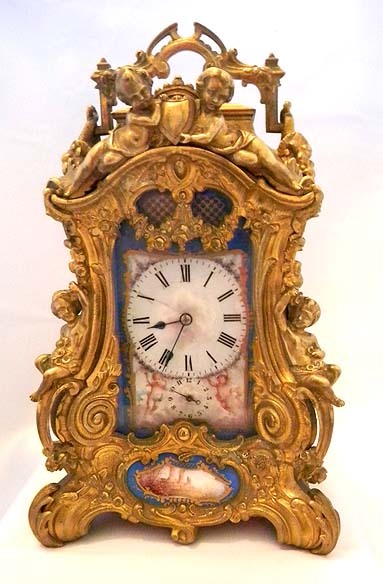 Original 11 jewel lever platform. 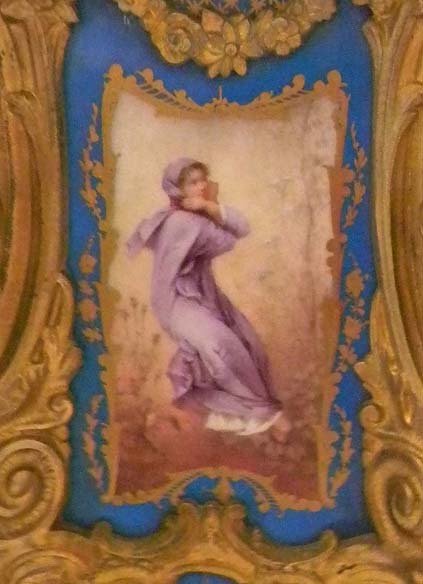 Additional shipping charges for this item.